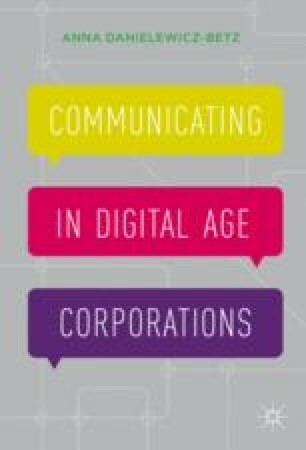 This chapter deals with selected sociological approaches to organisations and communication by means of enterprise software. Corporations and enterprise software are considered from the cybernetic perspective (in particular with reference to Stanford Beer) and from that of systems theory as further developed by Niklas Luhmann. Relevant examples from business practice are given, especially related to the Sales division of a globally operating IT corporation. Reference is made to the Habermasian theory of social action, particularly to the strategic and instrumental action and interaction characteristic of modern corporations and the imperative mode of managerial interactions. The modern concept of time is viewed mainly from the perspective of Hartmut Rosa’s account of time scarcity, time prosperity and time acceleration. Temporal aspects of the modern workplace are also discussed. Sutter, M., & Kieser, A. (2015). How consultants and their clients collaborate in spite of massive communication barriers. International Journal of Business Communication, 1–29. doi: 10.1177/2329488415613340. Watson, B. (2009). Fera’s official launch event and symposium: The importance of evidence in addressing the challenges facing Defra FERA e 15/6/2009, p. 23. Retrieved from http://www.fera.defra.gov.uk/aboutUs/documents/launch/bobWatson.pdf. Accessed 11 Mar 2011.